This year, the week of Art Basel Hong Kong features more than the usual round of exhibition openings, champagne brunches and cocktail parties—it marks the opening of a brand-new gallery space in Hong Kong. Titled Mine Project, the gallery is the brainchild of Winnie Yau, a Hongkonger who worked for many years in finance, including at BlackRock in New York, before leaving the industry last year to pursue a burgeoning interest in art. Mine Project is located in a 3,000-square-foot space inside The Hennessy. Notably, the space has nearly four-metre-high ceilings. Winnie plans to differentiate Mine Project from existing galleries in the city by representing up-and-coming talents from around the world, rather than working with established, big-name artists. Many of these artists were identified with the help of Michael Xufu Huang, a collector, curator and arts patron who is the co-founder of the M Woods museum in Beijing and an old friend of Winnie’s. “I’ve always collected younger artists, emerging artists, artists who grew up in the same age as me,” reveals Michael. “That’s my main focus in terms of collecting and curating, so when Winnie explained what she wanted to do with Mine Project, I thought it was perfect." At Winnie’s invitation, Michael has curated the inaugural show at Mine Project—a solo exhibition of new paintings by Mainland Chinese artist Zhang Zipiao, who’s only in her mid-20s but is already making waves in Beijing and Shanghai. “As it’s Art Basel in Hong Kong time, I really wanted to show a Chinese artist, so that more of my Western friends and collectors and curators can see the new talent coming out of China,” explains Michael. 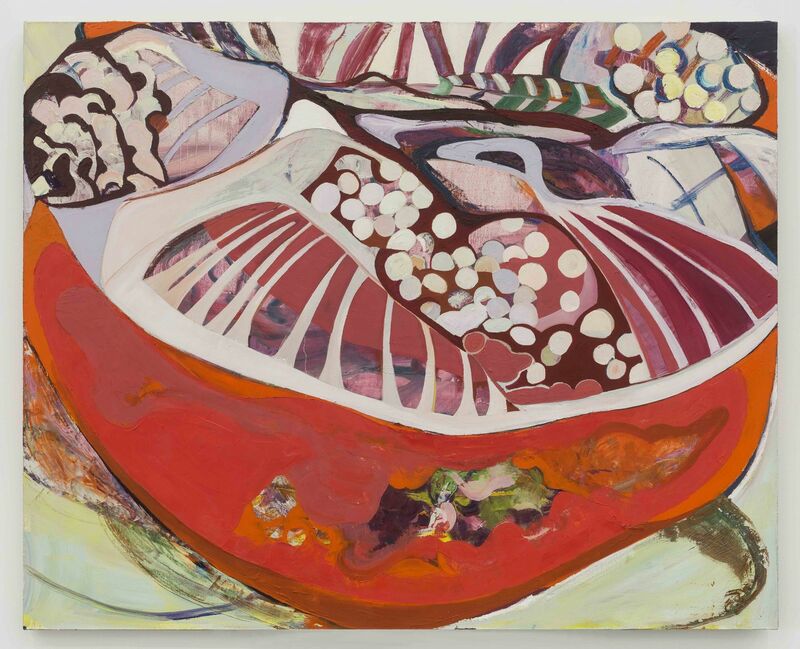 The exhibition is titled Cutthroat Kitchen and features new still life paintings of fruit and vegetables that have been chopped, sliced and diced. And this is just the start for Mine Project. “Our programming is actually planned until Art Basel in Hong Kong in 2020,” admits Winnie. The second show is going to be by Dario Guccio, who is best known for his figurative works featuring human silhouettes cut out of leather, paper and other materials. Other artists confirmed to be collaborating with Mine Project include Sarah Meyohas, Alex Gardner, Bodu Yang, George Rouy and Max Hooper Schneider, who won a BMW Art Journey Award in 2016. Winnie believes that major collectors will be interested in discovering these new talents and hopes that budding art lovers may get a taste for collecting by discovering these up-and-coming artists at Mine Project. But more important than simply selling art, Winnie thinks, is contributing to the arts ecosystem in Hong Kong.